Find hotel near Museum Of Human Evolution ..
As the name suggests, the museum houses various artefacts related to the evolution of mankind. In fact, it is home to a large number of important human fossils and hence, is a significant destination. The museum also falls in the list of UNESCO’s World Heritage Sites. The museum was built with the very purpose of preserving the findings at the Sierra de Atapuerca Site. It was but natural that the museum would also preserve the scientific interpretations and disciplines drawn from the excavation. The museum adds immense information to the concept of human evolution. The English translation of the name is Museum of Human Evolution. One ought to check the timings properly before visiting. There are separate timings for Easter days and for the summer months. Entry is free under exceptional circumstances such as for the unemployed, teachers etc. with a valid and certified id card. It is also free for children under the age of 8, pensioners, journalists, Museologists Associations etc. 4 € for Students with ID, arranged groups of more than 8 people, 8 to 18 years, large families, pilgrims. 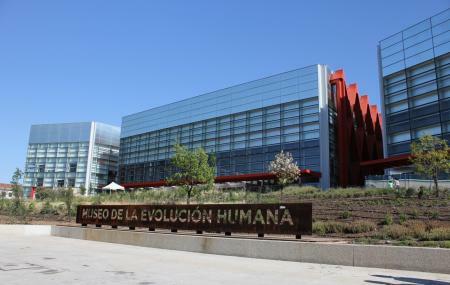 How popular is Museum Of Human Evolution Or Museo De La Evolucion Humana? People normally club together Iglesias De San Gil Y San Nicolas and Paseo Del Espolón while planning their visit to Museum Of Human Evolution Or Museo De La Evolucion Humana. This museum contains exhibits giving a very detailed account of man's evolution. The building was larger than required for the exhibit s, in my opinion, but that is probably being over-critical. This will take 2-3 hours of your time to do thoroughly. Amazing place to explore the journey of human race and human beings as well as the evolution as a whole process with huge multimedia, 3D technology and fascinating video rooms. One of my favourite was the brain installation. Recommended for children as well with basic information and videos/animations appropriate for children/students but it contains lots of interesting stuff for adults also. It is a very nice and very detailed museum, that shows how Humans have evolved, although, while it is very nice, I would refrain from using the gift shop, as it is quite expensive.